A site of a Romano-British settlement with remains of livestock enclosures and hut circles. A complex, extending about 120m by 60m with low (up to 0.4m high) stony banks still visible , of interest but not very impressive! 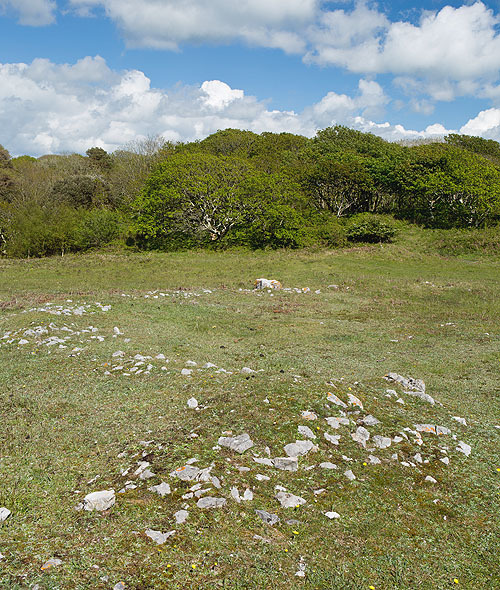 The Hut Circles at St David's Head ( pic in gallery 4.1 ) are more spectacular. Location - A track leads from Lady Margaret's Seat , in an easterly direction , to the site.